After completing its initial damage assessment on Sunday in Starkville and Oktibbeha County, the National Weather Service office in Jackson released its findings, showing the county was hit with not one, but two tornadoes. 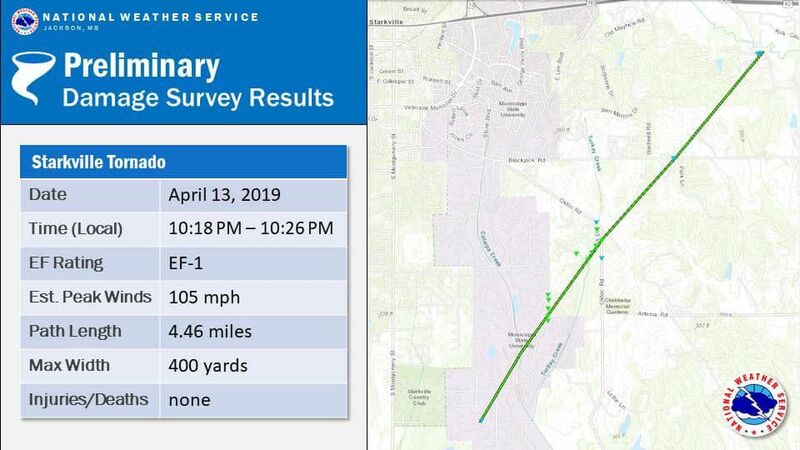 According to the reports, the tornado that traveled through Winston and Oktibbeha counties from 9:55 p.m. until 10:10 p.m. was classified as an EF-2 with estimated peak wins of 113 mph. This tornado caused substantial damage in the Craig Springs area, in addition to hitting a church and causing severe tree damage along Highway 25. Experts also believe the tornado was 830 yards wide and traveled for nearly nine miles. As for the tornado that hit Starkville, causing damage to the Beef Unit at Mississippi State University in addition to other parts in and around the city, the tornado was classified as an EF-1 with estimated peak winds of 105 mph. 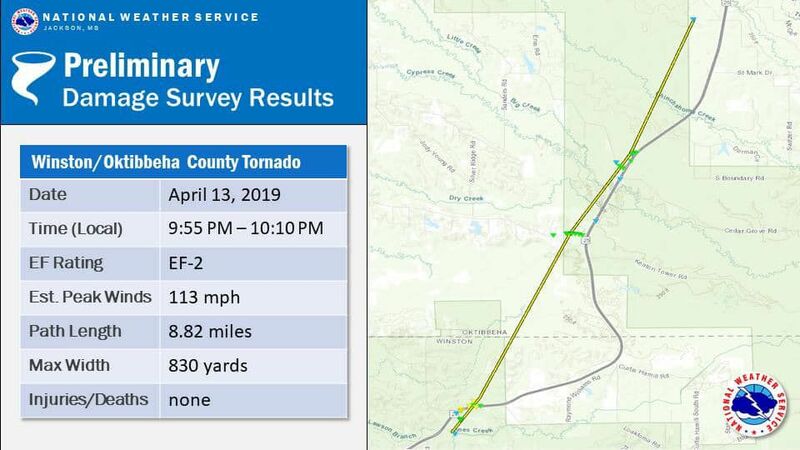 The NWS believes this tornado began cutting its 4.46-mile path at 10:18 p.m. Saturday and ending at about 10:26 p.m.
No injuries or deaths were reported from either tornado. This is a developing story. The Starkville Daily News will have more updates as they come available.